Suzuka Grey is a hard color to describe, so here's a picture. 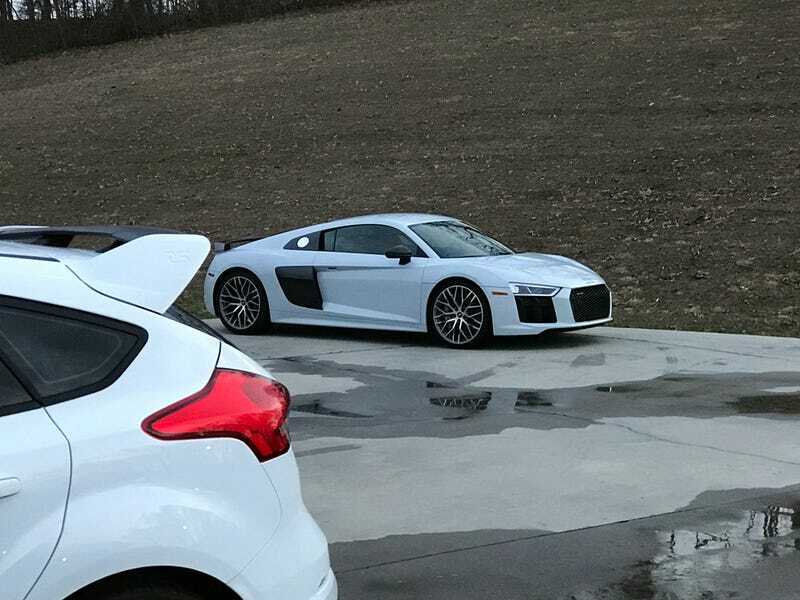 I was washing the cars and noticed a good way of telling the difference between plain white and “it looks white” grey. Taking it to the in-laws for the weekend, about the limit of luggage you can take in the frunk without packing stuff into the fitted “behind seat duffel bag” it comes with.